A thrilling rollercoaster of a story, read it with the lights on! Tim can't continue sleeping on friend, and former flame Lilla's couch, so when Lilla pushes him into finding somewhere else to live, he can't believe his luck when a room for board is available at Fairview, cheap and with so few conditions. His new housemate is twenty year old Anna, quaint, quiet and suffers from the debilitating condition of Agoraphobia, an anxiety disorder in which renders her scared of stepping beyond the doors of her own home. In exchange for a measly weekly rental fee, Tim agrees to run simple errands for Anna and simply keep her company in the monstrous nineteenth century home. Anna has lived alone since the death of her parents in a horrific accident three years prior, and while she and her mother didn't get along, she adored her father despite his blatant flirting and womanising, not to mention the unfaithfulness that her mother has always accused him of. It isn't long before Tim realises that living at Fairview isn't as ideal as first thought. Anna isn't one for conversation, no matter how incredibly lonely she's been. She cries herself to sleep each night, often calling out to what Tim believes is a lost love. The only friends that Anna has come to rely on, are sibling that may in fact be even stranger than she. But for all her quirks, Anna is still not the strangest attraction of Fairview. The presence through the house, being watched while he's asleep, Tim needs answers... And Anna has a story to tell. 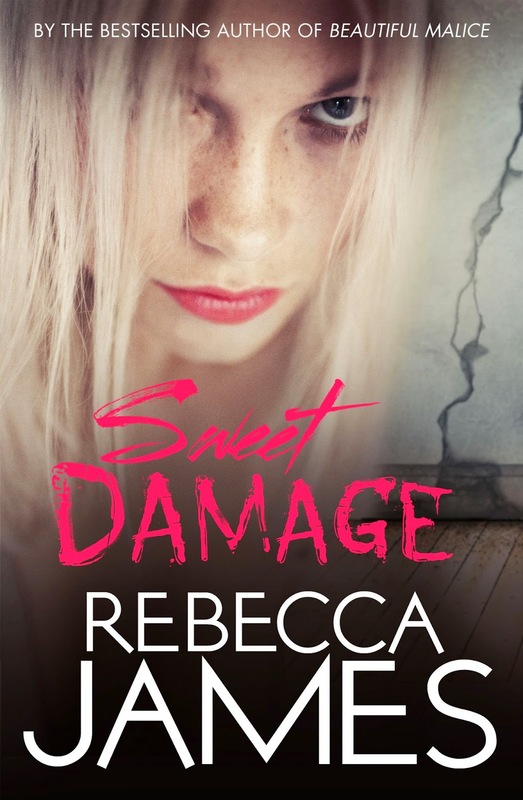 Sweet Damage was a surprising, heart stopping thrill ride that I simply couldn't put down. The storyline follows Tim, who works in the family restaurant and spends his free time surfing and sleeping on his former girlfriends couch. Moving out, he moves into Fairview, an incredible heritage home, with cheap rent in exchange for running errands for the strange recluse Anna. Anna is an incredible character and I found myself endeared almost immediately. The living arrangements are incredibly awkward, but rather than distance himself, Tim simply wants to know who Anna is and mistakenly shares his concerns with Lilla. Lilla is over confident and lacks a social filter, often appearing to be uncaring, rude and painfully blunt and although in a relationship, Tim still pines for her. Although I have no idea why. Lilla was little more than a loudmouthed attention seeker and considering she accused Tim of struggling through his own life, she's irritating and barely tolerable in small doses. The mixture of manic terror, mystery and suspense is enthralling and I loved every delicious moment. Rebecca James created an incredible thriller that left me guessing until the very end. I'm so glad you enjoyed this! I just read my first Rebecca James book the other day and it was brilliant. Hmmm, some of these characters sound like the ones from Cooper Bartholomew is Dead... anyway, brilliant review!